I would be what many would call a shopaholic, although not to the point that I feel the need to buy something wherever I go or need an intervention and fund any sort of rehab. I’m a firm believer that if it’s love and meant to be, it’ll be there in my size and at the price I feel like paying when I come back for it. 65% of the time it’s there in my size and still in good condition when I come back for it. Now, if only that worked in the relationship department (OFF TOPIC). Here’s the deal, I’ve gotten up early for shopping on Black Friday only twice in my short life and both times I was a teenager and had the stamina to keep up with my bargain seeking MidWestern aunts. When I worked retail, there was the dreaded shifts I was somehow lucky enough to end up with and had to be to the store before most people probably got to bed. That being said, I no longer have any bit of desire to get my bum out of bed the day after I’ve carbo loaded enough to run an ultra-marathon just to fight off a crazed sociopathic soccer mom in her pajama jeans for the last $5 mp3 player that will ultimately shatter to pieces or get lost weeks after Christmas. I’d rather, well I’d rather do any of the following instead of shopping, fighting in traffic and getting cut by a desperate parent trying to get to the last Inappropriate Funtimes Elmo. Allowing my cat to massage my scalp with his non-declawed talons. Climbing a mountain, actually, my tradition with MoGlo is a mother daughter hike in the mountains and it’s fun! Giving MoGlo’s schnauzer a haircut. Reliving the bitter cold and winds of last winter’s Chiberia. Having that awkward conversation with all of my exes as to why we didn’t work and if we should give it another go knowing we’d fail miserably. Having a staring contest with my roommate’s creepy boxer. Doing one thousand sits ups followed by one thousand push ups. Falling UP a mountain… again. Drinking an entire bottle of Malort by myself. That’s the short list. I’m sure I could come up with more items, but I think this’ll do. I’ll enjoy sleeping in tomorrow and sauntering downstairs with glee, hot morning breath and crazy bed head for my cup-o-Joe and some pancakes followed by assisting MoGlo with Christmas decorations. 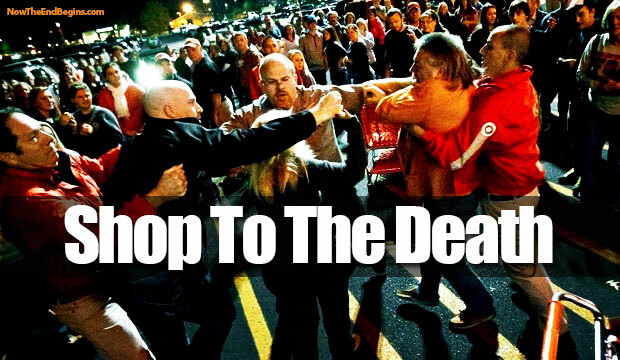 What would you rather do than stand in line at wee hours of the morning on Black Friday? Comment below.